True to their name, these delicate Deco fan clip on earrings are vintage style treasures. 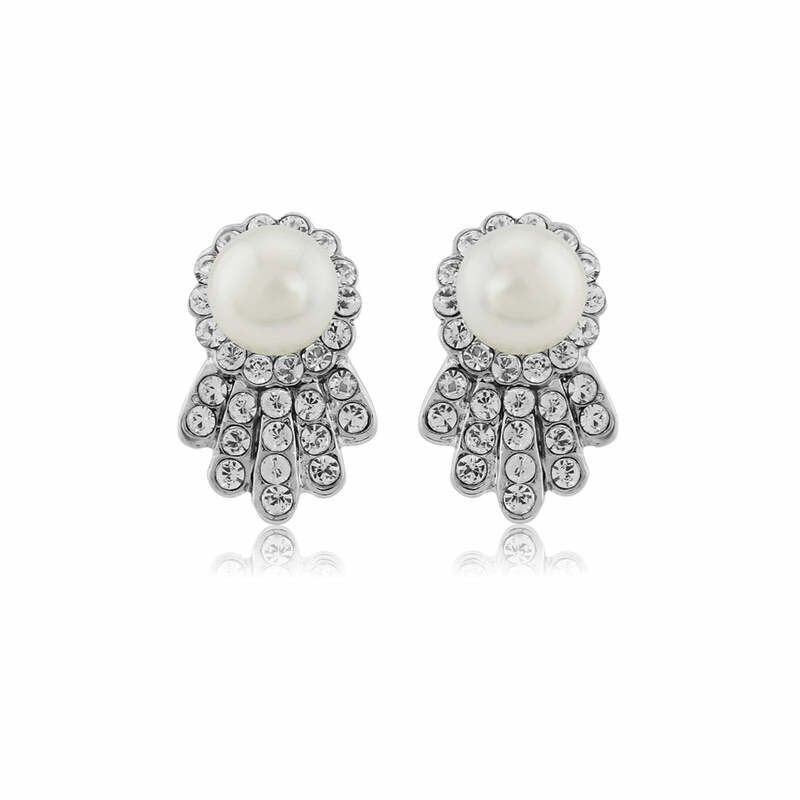 Embrace 1920s glamour with these crystal and pearl gems. The essence of chic, our Deco Heirlooms Clip On Earrings make an effortless vintage style statement for any occasion. Petite and pretty, they feature sparkling clear Austrian crystals and a light ivory faux pearl centre in a design reflective of the fabulous Art Deco movement. Perfect to wear alone to dress up a classic daytime outfit or coordinated with a 1920s inspired bracelet and headpiece for a glamorous evening event, these silver tone clip earrings have a beautifully subtle flair and versatility. A divine pair of Art Deco style wedding earrings for brides without pierced ears who are looking to accessorise a stunning 20s style dress, Deco Heirlooms are sure to enhance crystal and pearl detailing with refined elegance. With such timeless charm, this is a pair that will spend very little time in your jewellery box beyond your special day.